This is probably one of the most misused verses in all of God’s word. I’ve heard Christian football players quote this verse claiming victory in the football game. I have always thought, what if the opposing team has a Christian claiming the same verse? Obviously, this is not the original intent of this wonderful verse. When one looks at this verse in its original context, they will see Paul saying in the previous verse, “I know how to get along with humble means, and I also know how to live in prosperity; in any and every circumstance I have learned the secret of being filled and going hungry, both of having abundance and suffering need.” In other words, Paul is saying he has faced the best of life and the worst of life. Since he has faced both the best and the worst in life, he knows how to be content, for his strength is not found in his circumstances, his strength is found in Christ, regardless of his circumstances. As Christians we will face a whole host of circumstances. Some of those circumstances may be wonderful while others may be awful. However, as Christians, we don’t allow our circumstances to lord over our lives, Jesus is Lord over our lives. Since we are in Him and He in us we find our strength in Him and Him alone. Regardless of what we face in life, we will not be dismayed, for our strength is in Christ and we can do all things through Him, Jesus, who strengthens us. Just as Philippians 4:13 is one of the most misused verses in the bible the great Christmas Carol God Rest Ye Merry Gentlemen is one of the most misunderstood. This classic Christmas Carol was written in the 15th century when some words in the English language had a different meaning than they do today. The word merry is one of those words. In the 15th century, the word merry did not mean happy as it does today. Instead, it meant mighty. In the same way, the word rest meant keep. If this song were written today, instead of saying “God rest ye merry gentlemen let nothing you dismay. Remember Christ our Savior was born on Christmas day,” it would say, “God keep these mighty gentlemen let nothing worry you. Remember Christ our Savior was born on Christmas day.” It’s not as poetic, but you get the point. As Christians we will have more than a happy Christmas, we will have a mighty Christmas, as the original meaning of merry calls for. It is happy, but also mighty. It is mighty because Jesus Christ was born. Since Jesus Christ was born we have access to God. Since we have access to God we know we are kept in Him and are therefore strengthened through Him to be mighty. 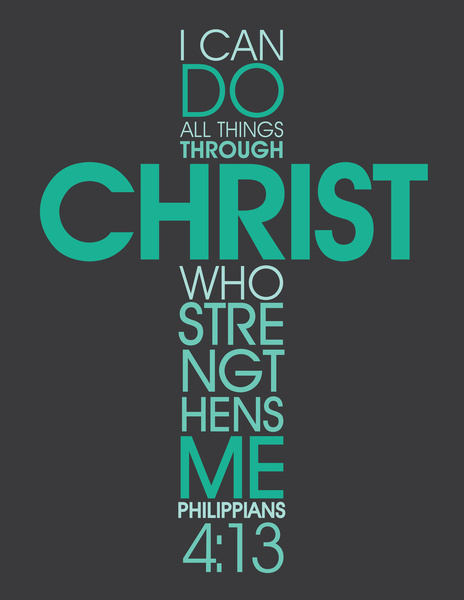 For this reason, I can do all things through Him who strengthens me. In Christ, we are mighty. Truly, we have received the greatest gift the world has ever seen.